The recent bad news surrounding the nation's economy and Wall Street is adding to the worries about an already shaking housing market in Southern California. The Southern California housing market has been in a slump for years, and while it may be too soon to know the full impact of the crisis in the financial market, it's certainly not helping. "You still kind of hold your breath no matter how good an opportunity it is for your family," said Braden Barty, a home seller. Barty and his wife Michelle put their Studio City home up for sale about two months ago. "We don't feel like the market is going to get any better," Barty said. "So the advice from a couple of our friends was, when we had an offer, just take it." 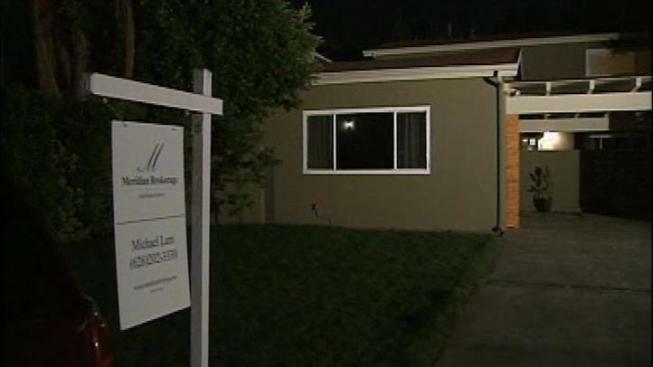 After negotiating over the one offer they received, their house is now in escrow, but they're not in a rush to buy again, choosing to rent and take a wait and see approach. "It also comes down to interest rates," Barty said. There were concerns that Standard and Poor's downgrade of U.S. Treasuries would mean a rise in interest rates for mortgages, cars and student loans, but so far, investors are still buying U.S. treasuries. "Thankfully we still have record-low interest rates," said David Fogg, a real estaet agent with Keller Williams. "It's a great time to buy. It's true, we might see them go up a little bit, but already they'll be going up from a very low bottom." The loan process is much more difficult than it's ever been, Fogg acknoweldged, but he said for qualified buyers the low rates make it worth the extra effort. For Braden and Michelle, it's a matter of taking a leap. "It's always risk, so you just have to do it," said Michelle Barty.